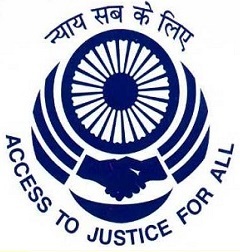 DLSA East Champaran Jobs Recruitment 2017-18 for Para Legal Volunteer Posts: Office of the District Legal Services Authority, East Champaran has Released Recruitment Notification for Para Legal Volunteer - 100 vacancies. Interested for getting Para Legal Volunteer Vacancies, May Apply on or before 17-08-2017 Hrs on wards. Qualified in Matric Class Pass from recognized Board. Interested candidates can Apply for the post may download the application form the official website along with self attested copies of certificates in proof of Date of birth, Educational qualification Certificate, Community certificate send to the office of the Secretary, District Legal Services Authority, Civil Court East Champaran, Motihari-845401 on or before 17-08-2017 Hrs on wards. Last Date for Applications: 17-08-2017 Hrs.